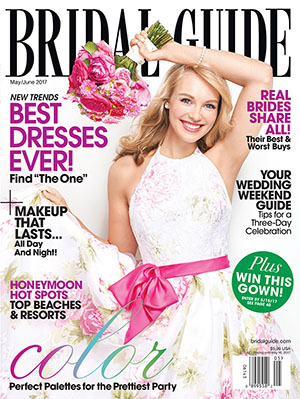 Free 2 year Subscription to Bridal Guide Magazine-Click here to begin your complimentary subscription to Bridal Guide Magazine, for two years! Available for a limited time. Free XYZ Moisturizer-Register here and fill in your details. Click on “Edit Profile” to find the free XYZ Moisturizer Offer. You’ll be able to earn more free products in the future! Free Sample of Kaneka Ubiquinol CoQ10 Softgels-Click here to request your free sample of Kaneka Ubiquinol CoQ10 Softgels! Available for a limited time, while supplies last. Free LifeStyles Snakeskin Condom Sample–Click here to Request a free LifeStyles Snakeskin condom sample. Fill in the form and allow up to 10 weeks for delivery. Available while supplies last. Free Slurpee Day at 7-Eleven-Tomorrow, July 11th, stop by your local participating 7-Eleven to get a free small Slurpee, in any flavor. It’s Slurpee Celebration Day! Free Sample of Sephora Collection Clay Mask-Click here to order your free sample of Sephora Collection Clay Mask, while supplies last. Allow 6-8 weeks for delivery. Free Sample of Workman’s Friend Skin Barrier Cream-Add the sample to your cart and then checkout using the promo code generated for you. Allow 6-8 weeks for delivery. Free Entree During Chick-fil-A Cow Appreciation Day Today-Dress like a cow today and get a free entree at Chick-fil-a! Click here for more info. Free Free Personalized Bookmarks at Walgreens-Order four personalized bookmarks from Walgreens for free! Click here and add the bookmarks to your cart, using the promo code PICYOURMARK. Choose in store pickup to avoid shipping and your cost will be $0! Free Tea at DAVIDsTEA-Sign up here for the DAVIDsTEA Frequent Steeper program and you’ll be rewarded with a free tea when you complete your profile, plus a free tea on your birthday. There will be other rewards and offers in the future. Free ZICO Jalapeno Mango at Jewel-Upload an ecoupon for a free ZICO Jalapeno Mango to your shopping card. Offer expires today!